THERE was no shortage of talking points after this senior championship play-off at Kilmihil on Saturday. At the end of a game, which produced 43 frees, nine bookings and one sending off, Miltown had reversed a seven-point loss to the same opposition a few weeks earlier and booked a quarter-final place for this Saturday. Given the amount of frees and bookings, much of the after-match discussion centred on some crucial decisions, such as the sending off of Lissycasey’s Alan Nagle 21 minutes from the end and the awarding of a penalty to the Lissycasey men five minutes into the second half. The penalty award looked to be a very harsh call but three minutes later Lissycasey had strong claims for a spot kick when Anthony Kelly was fouled but this time the referee waved play on. Failure to turn good possession into scores in the opening quarter proved very costly for Lissycasey who, despite playing against the wind, had plenty of chances in the opening half. Indeed, both sides had clear-cut goal chances in the opening minutes but Alan Nagle rushed his shot in the second minute and hooked the ball wide of Miltown goalie Conor O’Loughlin. Two minutes later, Joe Hayes made an excellent save, at the expense of a 45 which Desi Mollohan converted. 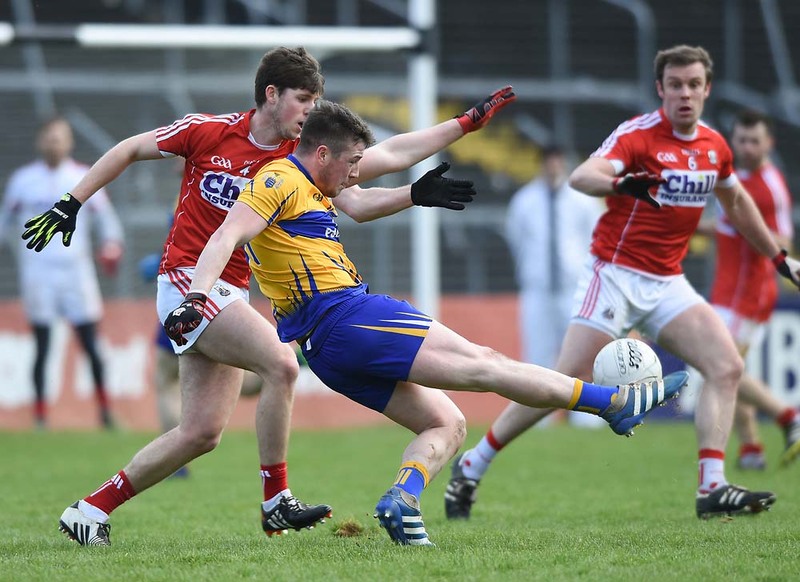 Mollohan’s effort was the only score in the first quarter and the game was 18 minutes old before James Kelly levelled for Lissycasey, by which time they had recorded five wides. The next score didn’t arrive until six minutes from halftime. Miltown easily won possession at midfield and Cathal Lafferty sent a high delivery goalwards. Full-forward Kevin Burke won possession and managed to hit the net past the advancing Joe Hayes. Team captain Mollohan added a point from a free and Miltown led 1-2 to 0-1 at the break. The winners stretched their lead 20 seconds after the resumption of play with a Seán Malone point but then came Lissycasey’s penalty, which Seán Hill converted and he quickly added a point from a free to close the margin to the minimum. Claims for another penalty were waved away before Nagle picked up a second yellow that reduced Lissycasey to 14 men with 21 minutes still to play. Lissycasey were enjoying their best spell at this stage and James Kelly levelled the game with a fine point. With 12 minutes to go, Lissycasey’s two best players on the evening, team captain Michael Melican and Cathal Hill, combined for Hill to give the team the lead for the first and only time in the game. With a number of their players clearly tiring, it was surprising that Lissycasey didn’t make changes at this stage. Miltown’s superior fitness told in the final 10 minutes and three points in as many minutes from Lafferty, Seán Malone and Mollohan put them two clear with seven minutes to go. They sealed victory in injury time when Michael Hehir came up from wing-back to score the final point of the game. Enda O’Gorman, the Kelly brothers, Cathal Lafferty and Seán Malone were always prominent for the winners while Michael Melican, Cathal Hill, James Kelly, Brian Casey and Matt O’Shea were Lissycasey’s best on the day. Miltown: Conor O’Loughlin; Enda O’Gorman, Graham Kelly, Enda Malone; Brian Curtin, Gordon Kelly, Michael Hehir; Michael Neylon, Cathal Lafferty; Eoin Curtin, Seán O’Connell, David Talty; Desi Mollohan, Kevin Burke, Seán Malone. Subs: Michael Barry for Neylon (37 minutes); Joe Curtin for Talty (43 minutes); Neylon for Malone (52 minutes). Scorers: Seán Malone (0-3); Kevin Burke (1-0); Desi Mollohan (0-2), both frees; Michael Hehir, Cathal Lafferty (0-1) each. Bookings: Michael Neylon (23 minutes); Gordon Kelly (34 minutes); Conor O’Loughlin (34 minutes). “We had one or two who were on song today and I am delighted we came out on top.” James Healy, Miltown. Lissycasey: Joe Hayes; Brian Casey, Niall Kelly, Michael Melican; Matt O’Shea, Cathal Hill, Martin Moran; Noel Finnucane, Anthony Kelly; Senan Hayes, Enda Finnucane, James Kelly; Danny Lynch, Seán Hill, Alan Nagle. Subs: Francis Hayes for N Kelly (half time); Paul Nagle for J Kelly (54 minutes); Shane Normoyle for N Finnucane (55 minutes). Scorers: Seán Hill (1-1), 1-0 penalty, 0-1 free; James Kelly (0-2); Cathal Hill (0-1). Bookings: Senan Hayes (10 minutes); Alan Nagle (15 minutes and 39 minutes); Noel Finnucane (23 minutes); Anthony Kelly (27 minutes); Seán Hill (60 minutes). Sent off: Alan Nagle (39 minutes).